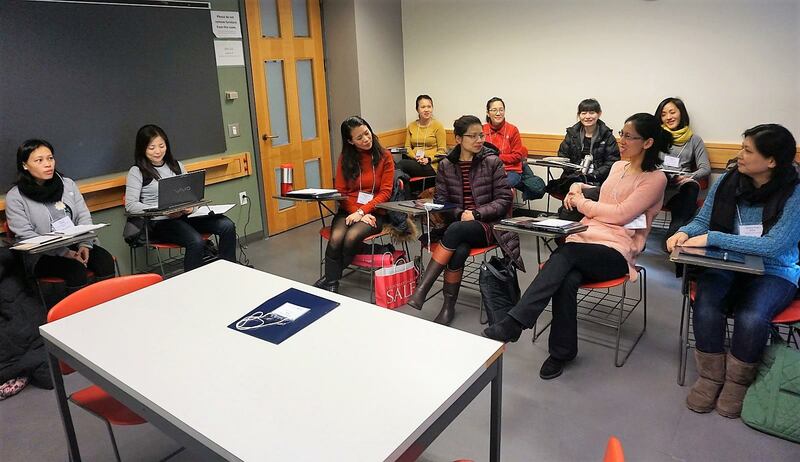 Boston, Jan. 30, 2017, The opening ceremony and the first workshop of the K-12 CFL (Chinese as a Foreign Language) Leadership Institute was held on Jan 14, 2017 at Tufts University. The workshop, which will meet once a month for six months, was designed to provide advanced training to senior Chinese language teachers. The organizers expect that this will allow these already exceptional teachers to both better instruct their students, and become leaders in the rapidly growing field of Chinese language education. Dr. Mingquan Wang, Director of Confucius institute at Tufts University (CITU), and Dr. Yu-Lan Lin, former Executive Director of Chinese Language Association of Secondary-Primary Schools, explained how China’s re-emergence as a global leader has led to a surge in students studying Chinese across America. Chinese has become such an invaluable skill that even families without any ties to China are advocating for increased Chinese language education. Today more than ever, New England needs high quality Chinese language education, and CITU is best equipped to provide it. To create this Leadership Institute, Dr. Wang and Dr. Lin established a search committee, drawing from some of the most talented teachers in the region. 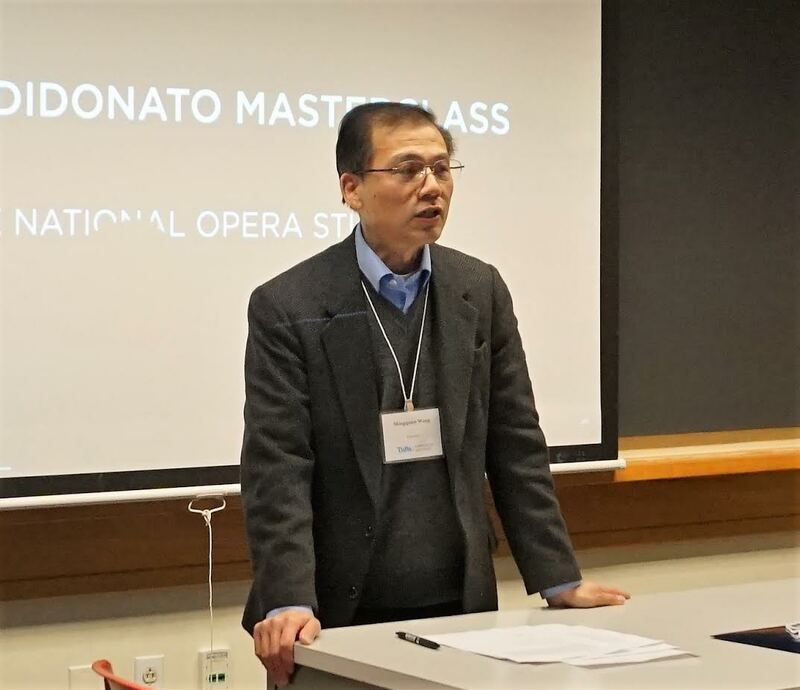 The other committee members are Dr. Jianbin Yao from Beijing Normal University, and Ms. Star Lew from Newton North High, a board director of the New England Chinese Language Teachers Association. Dr. Lin will serve as the Principal Academic Coach for the Institute, while Ms. Lew will be the Academic Assistant. The leadership of such distinguished Chinese teachers ensures high quality workshops and rewarding experiences for all involved. This leadership Institute enrolls Chinese teachers from across the New England Region. The planning committee conducted a careful evaluation of over 20 highly qualified candidates, and selected 11 of them as participants. This first group of participants come from different schools and cities from the New England region, with one teacher from Vermont commuting 5 hours each way to attend the workshop. The participants are originally from a wide array of regions, including: Hong Kong, Taiwan, Mainland China, and America. At the opening ceremony, Director Wang delivered his welcome address. He lauded the establishment of the K-12 CFL Leadership Institute, emphasizing how valuable an opportunity this is for all involved. Dr. Lin then explained how the workshops will be conducted, and what they will accomplish. After the opening ceremony, the participants briefly introduced themselves before beginning the first workshop. Following three presentations, the participants engaged in self and group evaluations through which they gained a better understanding of their strengths and weaknesses. Director Wang and Dr. Yao were pleased with the first workshop, believing that it is the first of many fruitful events CITU will hold this year. They are confident that the K-12 CFL Leadership Institute will succeed in helping the participants become leaders in the field of Chinese language education.